What Is the Difference Between Winter & Summer Fuels? As you plan your next summer road trip, don’t forget to budget for the slightly higher gas prices. That’s because the blend of gas used in the summer costs a little more than the kind used in the winter. If you’re wondering why that is, here’s what you should know about how summer blend gasoline differs from winter blend. The main reason we can’t use winter blend gasoline in the summer is that doing so would harm the environment. This is because there’s more smog and ozone in the summer than in the winter, meaning there’s more pollution that can damage lungs. Winter blend gas just doesn’t burn very cleanly when it’s hot out, releasing toxic air pollutants that harm both the environment and the people living in it. Fortunately, there’s a solution: summer-blend gasoline. What you need to know is that summer-blend gasoline has a different Reid Vapor Pressure (RVP) than the winter blend. So what does that mean? Well, the RVP of gas is made up of the combined RVP of all of its ingredients, which includes refined crude oil and a mix of different additives and compounds. So to make a summer blend, it’s necessary to use different fuel additives that can lower the RVP of the gas overall, since gas with lower RVP takes longer to evaporate than gas with higher RVP. The result is gas that doesn’t burn up too fast in the warmer months, and that burns cleaner than winter gas would in the summer. An additional bonus is that using summer-blend gasoline when it’s hot out can prevent engine issues, such as vapor lock, a problem that keeps the gas from reaching the engine after it has vaporized due to excess heat. This alone is a benefit that you wouldn’t get if you attempted to use the winter blend in your car during the summer. 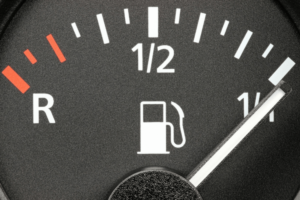 There are two main reasons for the slightly higher cost of the summer blend of gas. First, it has different ingredients than winter gas, and that can change the price. For example, butane is a big part of winter gas blends, and it happens to be inexpensive. 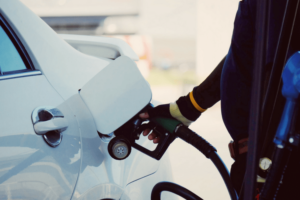 But the summer blends have a lot less of it, replacing it with slightly more expensive additives that can bump up the overall cost of fuel in the summer. The other reason for the higher cost of summer-blend gasoline is that refineries have to briefly shut down to transition from winter to summer blends. This typically occurs starting in April, allowing gas stations to start selling the summer blend by May or June. They can then switch back in September. In general, you don’t need to do anything to switch from winter to summer gas and back again, as the gas stations have you covered. However, it’s always good to know what’s going in your car, from the octane rating of the gas to whether it has the right RVP for the season. Additionally, this is important to know if you’re considering storing gas for months at a time. 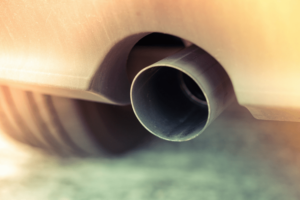 You need to keep in mind that winter gas is not good for your car or the environment during the summer, so avoid using gas from last season in your car now. And be sure to always pay attention to the quality of products you buy for your car. If you have any questions about the best products for your vehicle, come to Gold Eagle for assistance with your decision. We’re happy to help you take care of your car! My gas mileage per gallon is always higher with the “summer blend” gas.